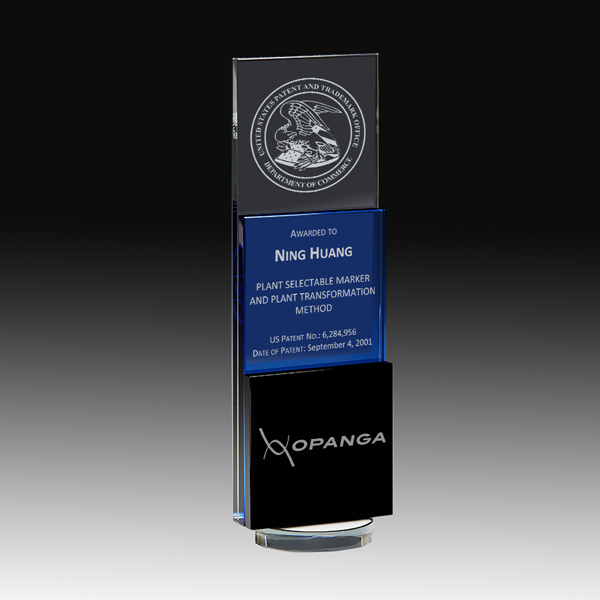 Sizes: 3 1/8" x 10 1/4"
This special optical award is designed to appreciate those who rise and contribute to your organization's technical success. An elegant combination of black, blue and clear crystal pieces supported by a clear crystal base. This custom award is perfect for any desk or table top display. Layout can be customized to your specifications. Logo and images can also be included at no additional cost. 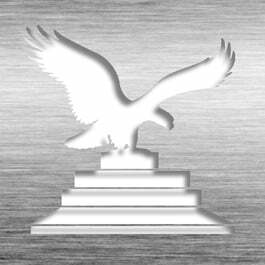 Laser-etched with personalized patent Information. 10 1/4" x 3 1/8" x 2 3/4"
This Patent Award - Optical Crystal Triscending IP Tower CP7731 is part of our Patent Desktop Award Series of products, check out other products & options available in the Patent Desktop Award Series of our selection. This Patent Award - Optical Crystal Triscending IP Tower CP7731 can be modified to your requirements and is available for your corporate award programs.